These drop earrings are great! They measure about 1 1/2″ long and the larger pearls are about 7mm diameter. 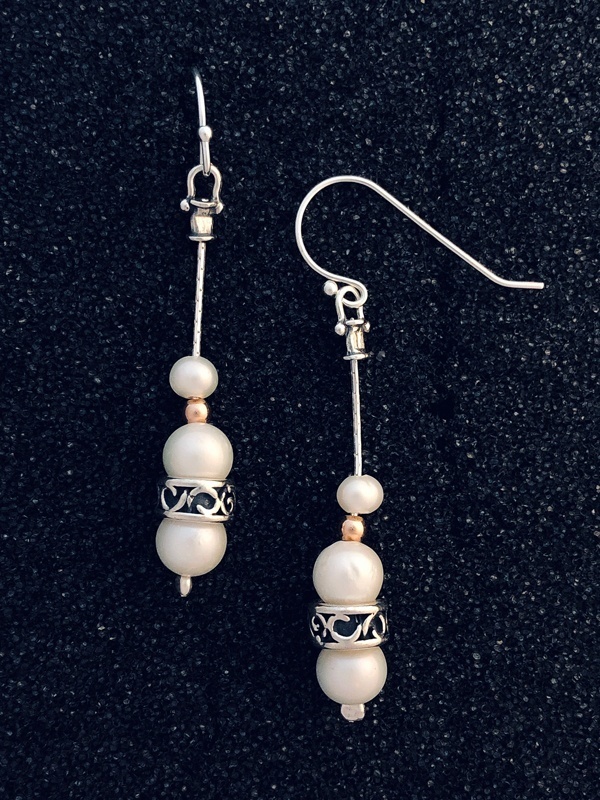 There is one tiny gold bead between the top two pearls and the earrings hang on sterling silver french wires.